The Whatcom Museum needs your help: They want to put together a Northwest Coast Native American display in the Children's Museum at the Lightcatcher Building. The Museum Board of Directors wants to know what third graders think are the most important parts of the lives of the early Native Americans who lived in our area. Here you will find the links you need for your research. Remember, you are part of a team for this project, so do your best work! You will need to be a critical thinker as you read. Take detailed notes to share with your group. Your job is to become an expert in early Northwest Coast Native American life. You will use these links to conduct research and take notes, and you will share with your group what you believe are the four most important parts. Your group will collaboratively decide what four aspects of early Northwest Coast Native American life are the most important in answering the following Essential Questions. Your teacher will give you a research guide to organize your note-taking. How did their environment shape the lives of the early Northwest Coast Native Americans? In what ways did the early Northwest Coast Native Americans affect the environment? Click on several links from each of these categories of early Native American life. Read about the different aspects. Record your research and ideas on the note-taking form your teacher gives you. Meet with your group and work together to decide the four most important aspects in answering the two Essential Questions. Create a Powerpoint Presentation to share your thinking. You will need to be persuasive--remember, you are trying to convince the Board of Directors at the Museum of the four most important aspects of early Northwest Coast Native American Life. Present your Powerpoint Presentation to the class. Self-assess your participation in this project. Your teacher will give you a self-assessment form and teach you how to use it. 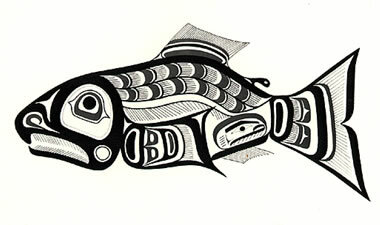 Ms. Evans' Class Blog (Scroll down to the section called "Northwest Coast People of Sea and Cedar).